This Australian nurse is one of many ready to fight Ebola. 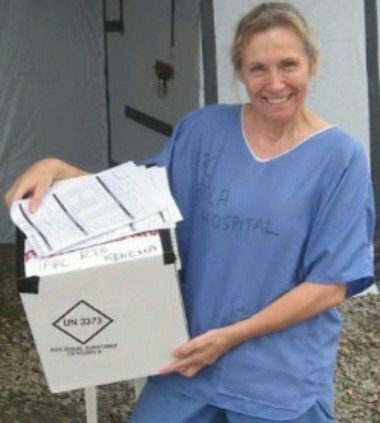 True Heroism: Australian nurse Kim Izon is risking her life to stop the worldwide spread of Ebola. 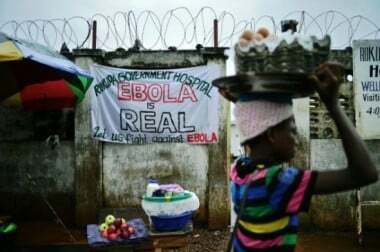 In one of the world’s most impoverished countries, Sierra Leone, with little access to basic health care, the Ebolavirus disease is ripping through the populace. There have been almost 5000 deaths since the initial outbreak in March 2014. 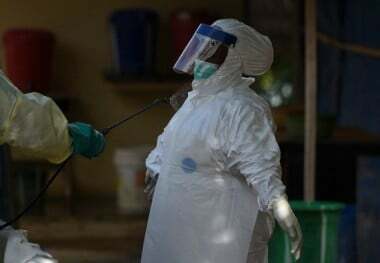 Australian Nursing and Midwifery Federation (ANMF) Federal Secretary Lee Thomas has announced that 350 Australian nurses are “ready and willing to volunteer in West Africa” to fight the disease. Medical surgical nurse Kim Izon is one of those nurses. Kim Izon lives and works in Darwin, in the Northern Territory. The 25-year-old graduated with a nursing degree from university 18 months ago, and lives a normal, busy, successful, happy life in the tropical north. She’s surrounded by work, family, friends, and her beloved pet dog. And now she’s volunteering to risk her own life to save others, in the face of the world’s most dangerous virus outbreak. It’s not a light-hearted offer to request, through the ANMF, to join the front line against what is arguably the world’s biggest humanitarian crisis. But as a nurse, Kim is employed to save lives. Her job is to sustain, protect, and nurture the existence of others. A health worker in protective personal equipment in the hotzone. Photo: Francisco Leong / Getty Images. As she chats with Mamamia in a candid phone interview, Kim shares an insight into her decision to go to Sierra Leone. “Every set of hands on the ground is going to make a difference, and our delay in getting people over there has already allowed the situation to worsen. I know Australia has put a lot of money into the issue, but you need people on the ground,” she says. “Money can buy water, money can buy beds, but money can’t buy the people that are needed there for the treatment,” she adds. “I really feel twe should be doing a lot more than what we are and I have a certain skill set that would be useful. I have a passion to help communities that may not be as well off in terms of monetary, health or location. Qld nurse Sue-Ellen Kovac was tested for Ebola after returning from West Africa earlier this year. Photo: ANMF. And when there are clear risks to those on the ground working with the infected patients, selflessness has to have a presence. In these potentially deadly circumstances, it just has to. If one of the aid workers in Western Africa contracts the disease, they’ll begin to experience symptoms beginning with fever and other flu-like symptoms, perhaps progressing to vomiting and diarrhoea, before potentially eventuating in the fatal symptoms – organ failure and internal and external bleeding. Despite the risks, Kim is confident in the quality of training and protection strategies she would receive as part of the health care task force in Sierra Leone. She knows the sheer magnitude of what could lie ahead for her if she is successful in a placement; delivering health care assistance in the face of such desperate poverty, population and despair. A girl walks past an Ebola warning sign outside a government hospital. Photo: Carl de Souza / Getty Images. 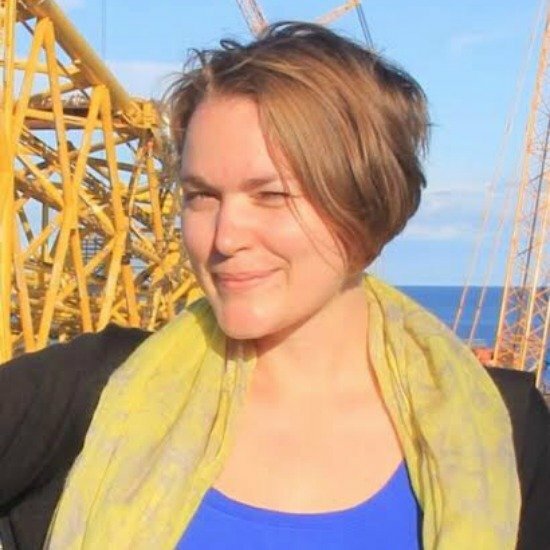 If Kim joins the team of Australian nurses in Sierra Leone, there are many unknowns. She doesn’t know if she’ll be a different person when she lands back on our shores again. She doesn’t know if she’ll still be healthy. She doesn’t know what suffering she may bear witness to. War can change a person, and this battle against an invisible, deadly enemy will test every soul who joins the humanitarian mission. But it’s because of people like Kim, who are uniting forces to offer the assistance of mortal arms, there is hope in fighting the disease. What do you think of Australian nurses going overseas to help stop Ebola? Anna Rawlings is a third-year journalism student from the Sunshine Coast, Queensland. Anna is a feature writer and editorial assistant for a popular local magazine, and has a minor degree in International Relations and Politics. She is obsessed with all aspects of media, particularly current affairs, environmental, celebrity, health, fitness and lifestyle topics.